Where’s Mount Tam? Our awesome kids resting up before the final climb up Mount Tam. 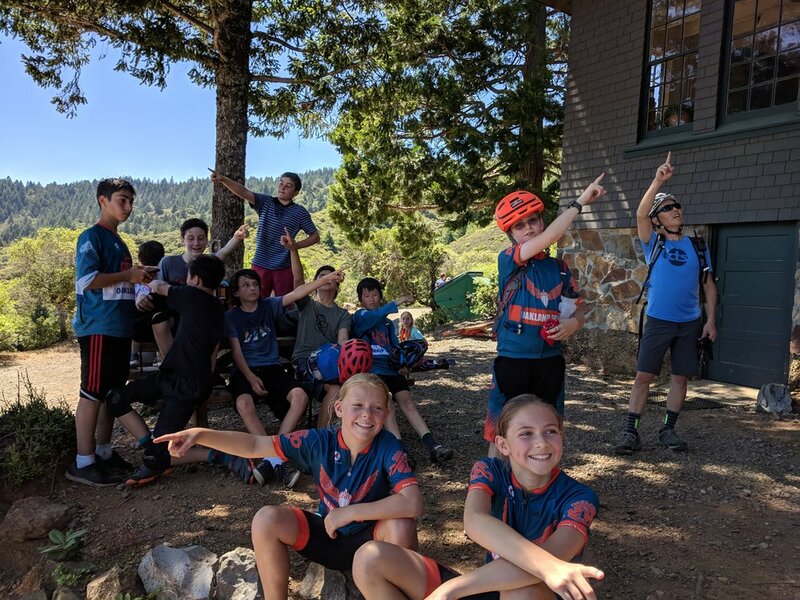 Oakland DEVO is a middle school adventure mountain biking club. Our mission is to have fun on bikes. We ride bikes and explore the outdoors in the East Bay and beyond. Our club was started in 2016 by Morgan Fletcher (of Oakland Composite fame). DEVO stands for Development. While that may sound like a cycling race development team, we’re not that. We’re all about adventure and getting kids out on 3-4 hour rides on weekends (and on weekdays in the spring). Our goal is get more kids on bikes, have fun while doing it and produce lifetime riders.